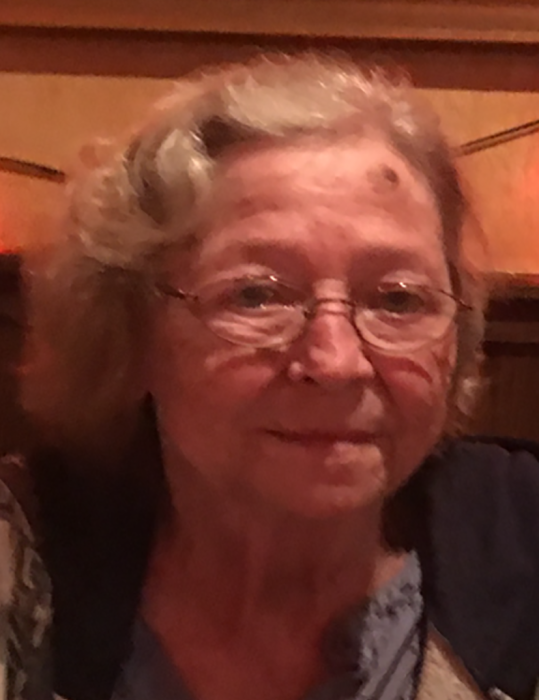 Nancy Ann Baker, age 77, of Arcadia, IN passed away February 9, 2019 at Riverview Health at Noblesville, IN. She was born November 4, 1941 at Noblesville, IN to James William and Margaret Ann (Godby) Blessinger. She attended Noblesville Schools and graduated from Noblesville High School with the Class of 1960. Nancy was a seamstress and had worked for several years making draperies at Aero Drapery near Jolietville, IN. She also did sewing at her home that included draperies, alterations, hemming, making clothing from patterns and sewing "patches" on uniforms. She also enjoyed quilting, fishing and camping. Nancy and her husband had a lake home that they frequently used as their "get-away" place. Her family, including her sons-in-law attested that she was a friendly, caring, totally honest, awesome person who dearly loved the entire family. She married Phillip Stanley Baker on April 7, 1963. He preceded her in death October 25, 2011. She was also preceded in death by her father: James William Blessinger, mother: Margaret Ann (Godby) Foutz, son: Rick Baker, Sister: Linda Murphy, and a brother: Michael Blessinger. Surviving her are daughters: Susan (Robert) Yeary of Cassopolis, MI, and Melissa Ann (Scott) Mitchell of Arcadia, IN, brothers: Jerry Foutz of Arizona and Rex Foutz of Noblesville, sisters: Janelle Stohler and Jane Noel, both of Anderson, IN and Cindy Bennett of Shirley, IN. Additional survivors include grandchildren: Allison"Rooster" Brown, Colton Mitchell, Jerry Saxon, Tommy Saxon, Brad Saxon, Travis Saxon, Kelly Greene, Meghan Reed, Andrew Baker, Sarah Owens, Alex Baker and Evan Yeary, plus great-grandchildren: Leeanna, Makenzie, James, Parker, Braydin, Arley, Kaydin, Madilynn, Walker, Vada, Wyatt, and Emma. Funeral services will be held Thursday, February 14, 2019 at 11:00 A.M. at Hartley Funeral Homes Cicero Chapel, 209 West Jackson Street, Cicero, IN, 46034 with burial to follow at Arcadia Cemetery. Visitation will be from 5:00 to 7:00 P.M. Wednesday. Memorial contributions may be made to the Humane Society for Hamilton County, 1721 Pleasant Street, Suite B, Noblesville, IN 46060. You may send condolences at http://www.hartleyfuneralhomes.com.